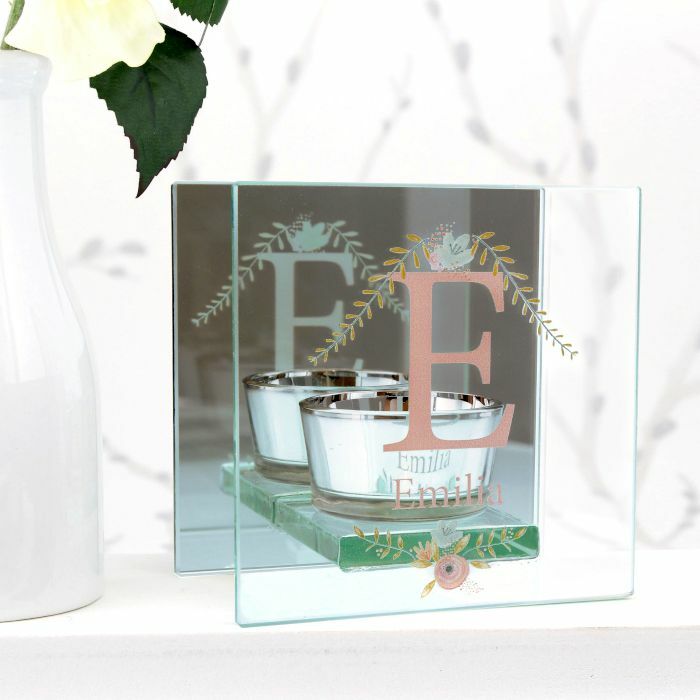 We love our Personalised Floral Mirrored Glass Tea Light Holder for adding a touch of sparkle to any room. 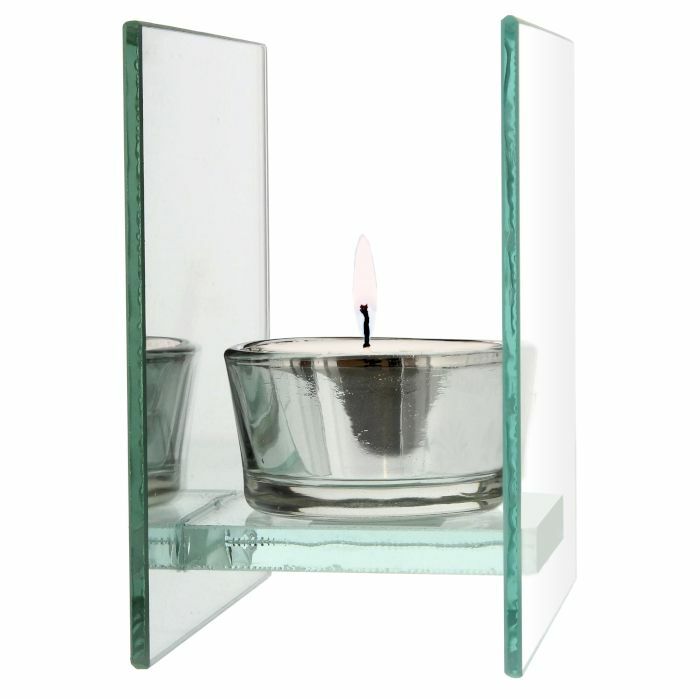 Placed on the mantelpiece or bedside table this attractive tea light will add atmosphere and ambience, and with the mirrored back it will throw out more light. 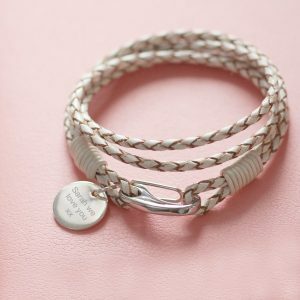 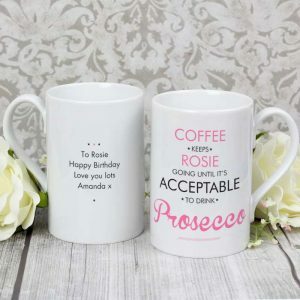 A modern alternative to the candles of by gone days, and one that will make a lovely Birthday or Mothers day gift for mum, a wonderful present for Bridesmaids or a lovely Christmas gift for friends. 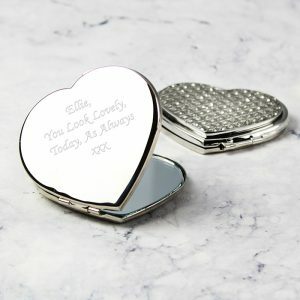 The front of the holder is decorated with a gorgeous floral design, and within the design any 1 initial and 12 character name can be added. 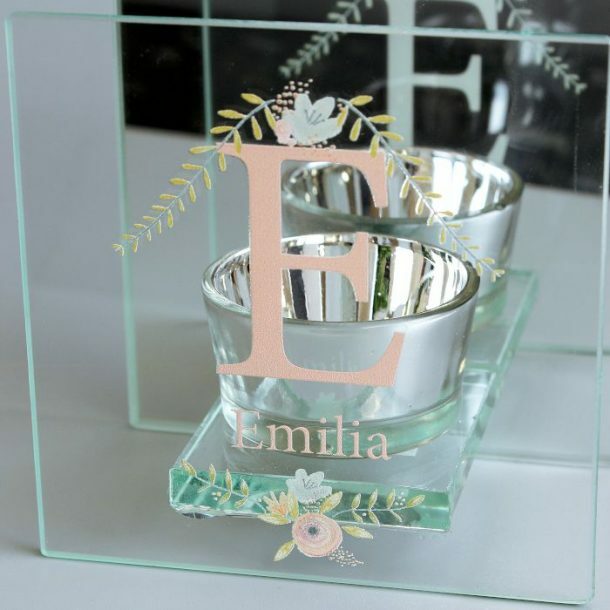 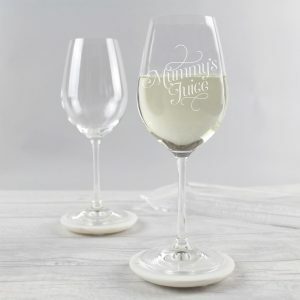 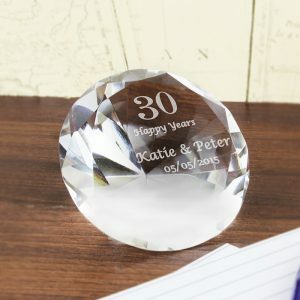 Here at love my gifts we think our tea light holders are a charming gift for any occasion for her, because personalised gifts make memorable keepsakes for all.